Limousines are a well known form of transport for Presidents and Celebrities although, at Black Car Limousine Services, we know they are a lot more than that and provide a multitude of transport services. 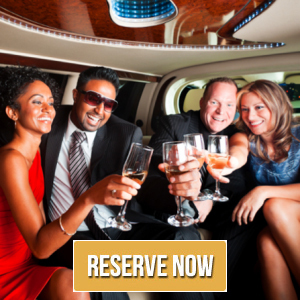 Limousine vehicles come in many formats including the popular stretch limo which is basically a standard vehicle that has been professionally lengthened and fitted out with a range of luxury appointments. Characteristics inside a stretch could include leather and wood grain trim, bar, ice chest or fridge, LCD screens with DVD, Audio systems, play station and even some with karaoke! Seating capacity depends on the vehicle and can range from 6 seats to 17 or more seats for the SUV stretch or limo bus style vehicles. At Black Car Limousine Services you will find black Sedan limousines, often referred to as a Corporate Black Car, Hire Car, or Town Car, which is a luxury vehicle with a seating capacity of 5 people including the chauffeur. Sedan limos are popular for airport transfers, corporate work and general transfers. A lot of people use sedan limos for their dependability (being picked up on time) and quality of vehicle and in a lot of cases the cost is very comparable to other modes of transport. Limousine and Chauffeur Driven service companies sometimes specialize in one form of vehicle whether it is stretch or sedan and provide services especially for that market whereas some companies will provide a range of vehicle options which may include stretch, sedan, people movers like a Tarago or Voyager, mini buses and coaches. Services provided and rates differ from company to company and generally include Weddings, funerals, formals/proms, corporate transfers, tours, airport transfers and general transfers. Some companies offer pre set itineraries for tours whether it be for winery tours, sightseeing tours, nightclub tours etc. or they can be as directed by you. Rates are generally either charged by the hour or a set rate for the journey you are travelling. Some companies, in fact most, charge waiting time so if you leave the limo waiting it’s much like a taxi in that the meters running so to speak. Check with the operator as to how this applies. Limousines are popular, especially stretch limos, for that wow factor needed to surprise and impress a loved one or for special occasions which chauffeurs will provide that extra level of service to make it really something. They are also a competitive and dependable form of transport for general transfers like from airport to hotel transfers or trips to the football or events. Black Car Limousine Services offers a diverse and flexible range of services sometimes in a multitude of vehicle options added with high service levels, quality of vehicles and competitive rates, there’s no reason not to consider Black Car Limousine Services for your next transport requirements.